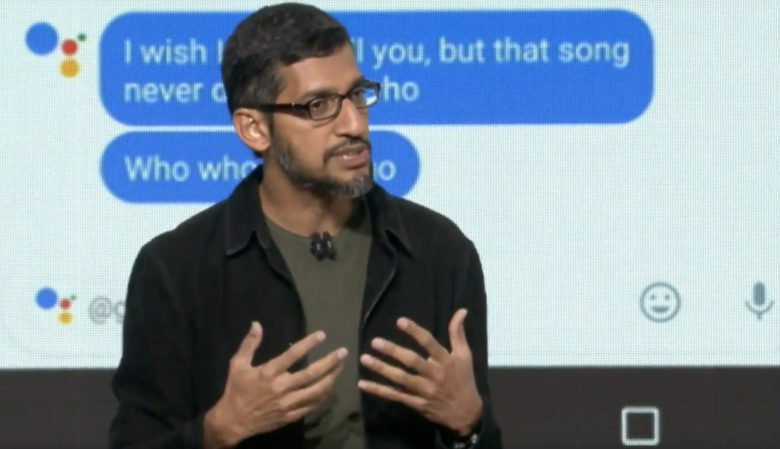 Under CEO Sundar Pichai, Google is betting big on AI. Apple’s five year reign as the world’s most valuable brand has come to an end. For now. Even though the iPhone-maker reported historic revenues and profits during its Q1 2017 earnings call yesterday, Google has supplanted Apple in the latest brand rankings. 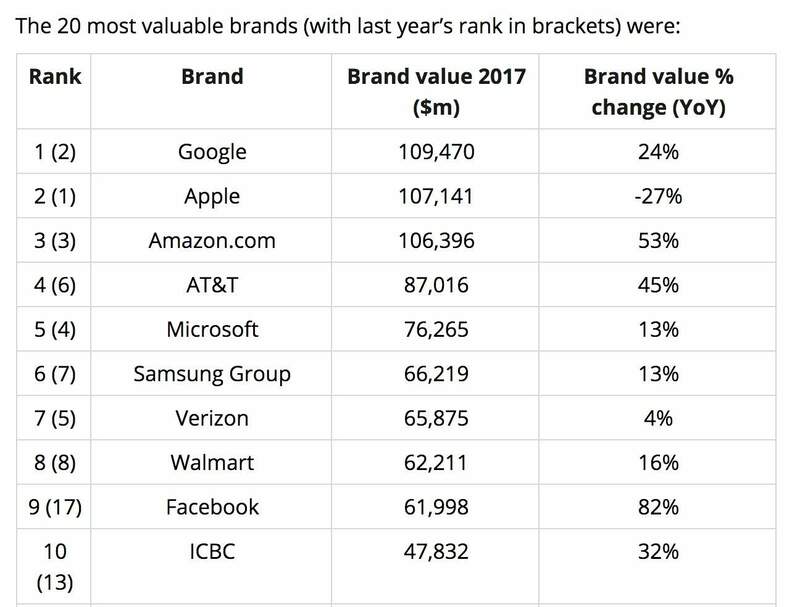 Apple has held onto the top spot of Brand Finance’s annual rankings since 2012 thanks its dominance in the smartphone and tablet markets. In 2016 the company’s brand value slipped an astonishing 27% though according to the latest listings on Brand Finance Global 500. Another of reason supposedly contributed to Apple’s drop. The firm says one the key factors when making its assessment was “a perceived over-exploitation of the goodwill of customers.” They don’t go on to explain exactly what Apple did to exploit customers though. Top tech brands catching up to Apple in other sectors also hasn’t helped. Following Google and Apple is Amazon in third place. A number of Chinese brands also rose up in the ranks. The Industrial and Commercial Bank of China Limited was the only one to crack the top 10, but China Mobile and China Construction Bank landed in the top 20.